← Quiz: which classic 80’s fantasy movie should I get next? Ride for Dad: but give Dan the donation money! This is my almost-brother-in-law, Dan Sparling, boyfriend to The Sister for lo, these 23 years, and many thanks are due him for taking her off our hands. 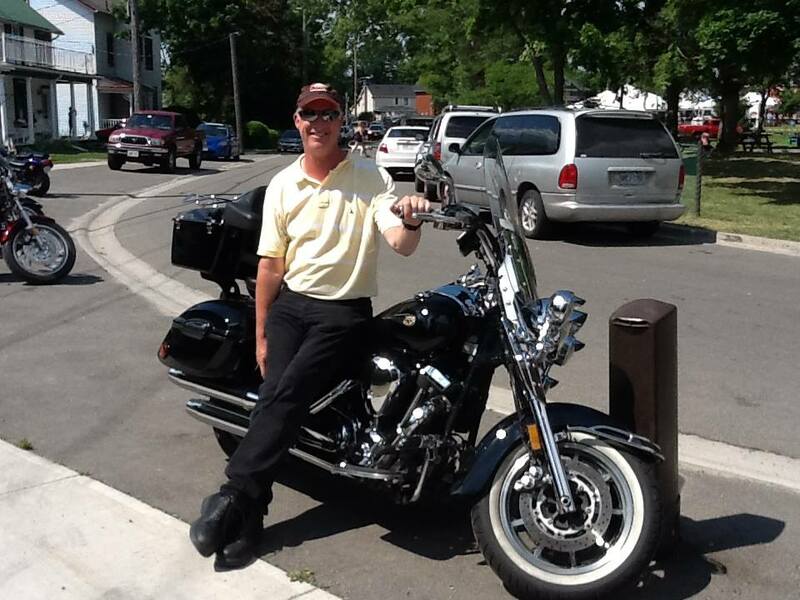 He’s spending his weekend doing the Ride for Dad through scenic southern Ontario, raising funds to fight prostate cancer. We raise funds through large scale one-day motorcycle, snowmobile, watercraft and ATV ride events and through ongoing public fundraising throughout the year. 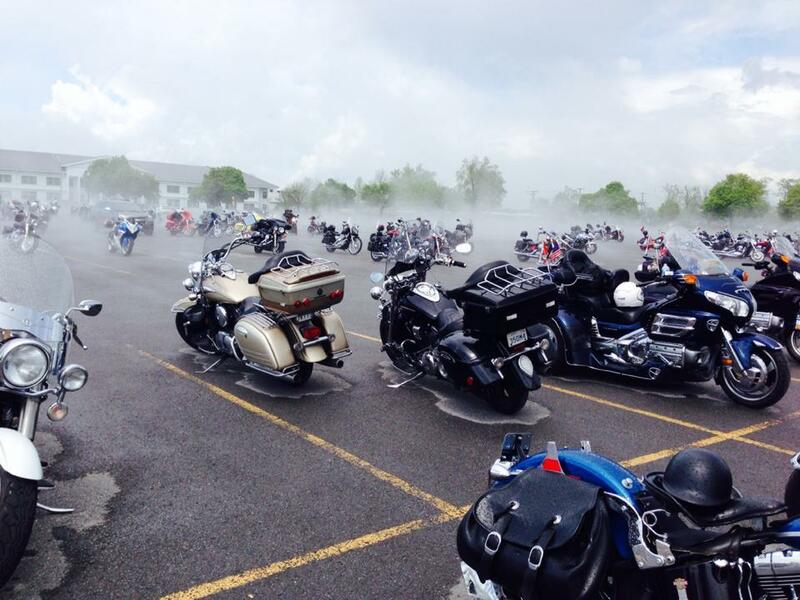 TELUS Ride For Dad events take place in multiple cities across Canada, representing every Canadian province. To learn more about a ride in your city, please click here. Since 2000, the TELUS Ride For Dad has donated more than 13 million dollars to the Prostate Cancer Fight Foundation, charitable number 85133 3179 RR0001, to support prostate cancer research and awareness in the communities where the funds were raised – we give where we ride! Dan’s already met his goal of $500, but if you’re feeling generous and like possibly saving the lives of any of the prostate-having men you know and are fond of, click through and kick him a few bucks. God knows, it’s hard work touring the scenic countryside on a motorcycle on a beautiful spring day. Eh? So it sprinkled! They earned their money! NOW GIVE THEM SOME! This entry was posted in Canada, charity, Family, Medicine, Science. Bookmark the permalink.